This kind of telescopic hydraulic cylinder is used for dump truck unloading platform. There are 2 and 3 stages for you to choose. And also we can produce according to your drawing. 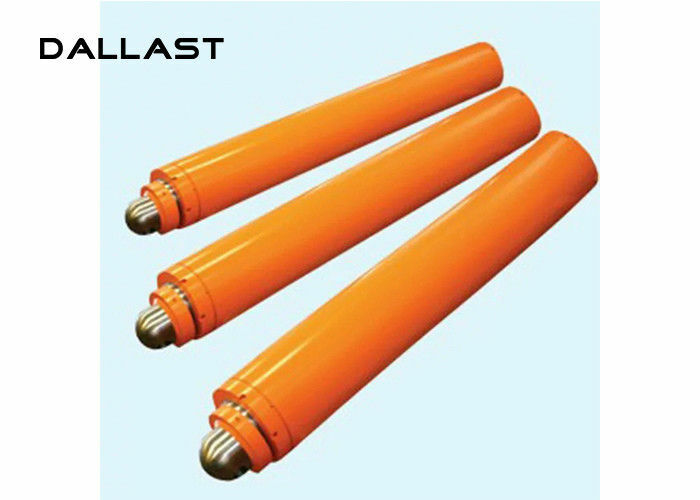 As our main series products, the telescopic hydraulic cylinder is widely used all over the world. We import famous seals PARKER from USA to extend the life of cylinders. Besides, the sleeve of cylinder is very smooth, the surface finish can be 0.02μm. The using frequency becomes long and long. 1, to provide users with any degree of swing angle range of 1.0 ° -720 ° products. 2, both ends of the shaft output; two end hole output; one end shaft output; one end hole output. 3, the standard product hairstyle; non-standard product design, manufacture. 4, swing hydraulic motor during handling and installation, the spindle may not have any external impact load, so as to avoid deformation of the spindle. 5, the working medium for the 40th ordinary machine oil or hydraulic oil, oil temperature should be controlled at 20 ℃ ~ 50 ℃ range. 6, the working fluid must be filtered by the filter, shall not contain any impurities, oil filtration precision 25μ. 7, to drain the oil to separate back to the hydraulic cylinder. 8, long-term placement do not have, the motor should be filled with oil inside the working chamber, and out of the oil port and the external leakage blocked, take leaks and dust prevention measures. Our cylinders are used in rail-mounted lifts, scissor lift platforms, hydraulic boarding bridges, climbing work vehicles and other products. Safe, reliable, practical is our consistent pursuit, you choose us, is the choice of peace of mind, is to choose the rest assured that is the choice of peace of mind. Installation distance and effective stroke can be customized according to customer requirements; cylinder diameter 95mm, wall thickness 7.5mm can withstand 50 standard atmospheric pressure. Guiding Sleeve and Piston All CNC machining to ensure the installation size and sealing effect, the cylinder surface using modern advanced rust removal process, the use of anti-rust layer inside, the outer layer of internationally renowned brand AkzoNobel metal paint, to ensure that the appearance of smooth and durable paint Shedding phenomenon.